Dr. James Herman Wudel, MD. Dr. James Herman Wudel, practices Surgery in Lincoln, NE with Nebraska Heart Institute. He is a prominent thoracic surgeon. He specializes in the surgical treatment of Coronary Artery Disease and Atrial Fibrillation at the Nebraska Heart Hospital. He is certified by the American Board of Surgery and the American Board of Thoracic Surgery. Dr. John D. Puskas, MD. John D. Puskas, practices as a Cardiothoracic Surgeon in Atlanta and has 23 years of practice. As a professor of surgery and associate chief of Division of Cardiothoracic Surgery at Emory University School of Medicine he has helped in developing a better way to perform open heart surgery. Atrial fibrillation ablation therapy is one of his key areas of interest. Dr. Puskas in 1997 performed the world's first triple off-pump bypass surgery using minimally invasive coronary artery bypass graft (Mini-CABG) instrumentation. In this panel he will represent the Emory CT surgery team. A. Marc Gillinov, is a staff cardiac surgeon at the Cleveland Clinic Heart and Vascular Institute and he is board-certified by the American Board of Surgery and the American Board of Thoracic Surgery. Dr. Gillinov has special expertise in surgical treatment and minimally invasive surgery for atrial fibrillation. He is Surgical Director of the Center for Atrial Fibrillation at Cleveland Clinic. Dr. Shah started his career in cardiac electrophysiology in Bordeaux, France with Pr. Haissaguerre. Since the last 6 years Dr. Shah has ran the Cardiac Electrophysiology Unit at the University of Geneva in Switzerland. His research interests center on atrial reentry arrhythmias, atrial fibrillation, catheter ablation technology and mechanisms of atrial arrhythmias. 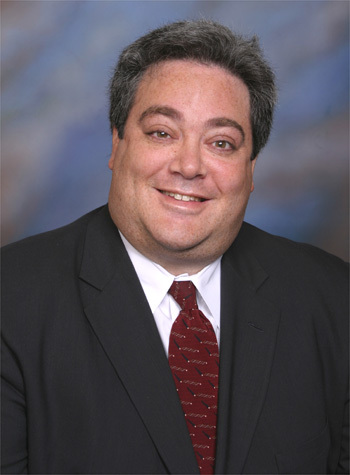 Dr. Bryan M. Steinberg, MD. 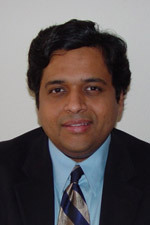 Dr. Dr. Shivkumar is a board certified cardiac electrophysiologist and he is the director Cardiac Arrhythmia Center at UCLA. He practices at Ronald Reagan UCLA Medical Center and Santa Monica-UCLA Medical Center. Dr. Shiv has published several high impact research publications in cardiac imaging and catheter ablation and is an expert in ablation procedures. Dr. Ralph Damiano Jr., MD. Dr. Larry Chinitz is a Board Certified Clinical Cardiac Electrophysiologist. He is the director for cardiac electrophysiology at NYU Langone Medical Center and Associate Professor of Medicine. He is a member of NYU Pacemaker Associates and NYU Electrophysiology and NYU EKG Associates. Dr. Chinitz has authored number of research publications and is an expert in AF ablation, Medical management of AF, ICDs and Echocardiograhy.